Blogger.com is one of the most popular blogging applications available. There are two main reasons for its popularity. First, it's been around longer than just about any other blogging software, so bloggers are very familiar with it. Second, it's completely free and easy to use. Since Google purchased Blogger.com several years ago, the features and tools available to Blogger.com users have continued to grow. Price is often a concern for bloggers. 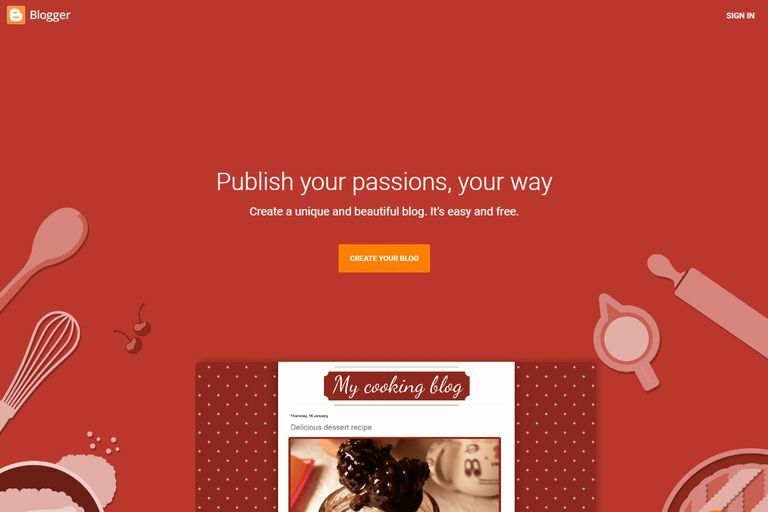 Blogger.com is completely free to users. All of the features and services available through Blogger.com are offered free-of-charge to all users. While Blogger.com is offered to users for free, but if you want to get your own domain name, you'll need to pay for that. A key advantage in choosing Blogger.com as your blogging software is its versatility. Bloggers are not limited in the amount of traffic or storage space that their blogs generate and use, and bloggers can create as many blogs as they want. Bloggers who use Blogger.com also have the ability to manipulate the templates available to them in order to create more unique blog themes. Many bloggers love Blogger.com because it automatically integrates with Google AdSense, so bloggers can earn money from their blogs from day one. Additionally, Blogger.com users can edit their blogs' codes to include advertising from other companies as well. Blogger.com is often referred to as the easiest blogging application to start a new blog and the easiest to use for beginner bloggers, particularly when it comes to publishing posts and uploading images. Blogger.com also offers a wide variety of features. Unlike other blogging software programs where additional features are available at an extra charge or through external upload (which can be confusing for beginner bloggers), Blogger.com gives users easy access to the tools they need to customize their blogs to meet their needs. While Blogger.com is easy to use, it does cause frustration for some users. For example, it is more limited in functionality and customization than WordPress.org. You need to weigh your needs against costs and technical requirements to determine if Blogger.com can help you meet your blogging goals in the future. Blogger.com blogs that are hosted by Blogger.com are given URL extensions of '.blogspot.com'. The domain name a blogger chooses for their Blogger.com blog will precede '.blogspot.com' (for example, www.YourBlogName.blogspot.com). Unfortunately, a Blogspot extension has come to connote an amateur blog in the minds of web audiences. Professional bloggers or more experienced bloggers who want to use Blogger.com as their blogging software often choose to use a different blog host which allows them to choose their own domain name without the Blogspot extension. Blogger.com is a great option for beginner bloggers looking to get a blog launched quickly at no cost with a wide variety of features and the ability to include advertising to earn money from their blogs.